Note: This video is for a ‘technical’ golf warm up to help you prepare mentally and get your swing into a nice rhythm. 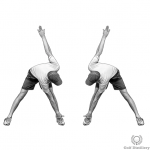 Please see this routine for warm up exercises and stretches. Remember that warm up time is NOT practice time. Whatever swing you turn up with on the day is the one you have to play with. Focusing too much on the technical elements of your swing or trying to fix a fault will probably do more harm than good. 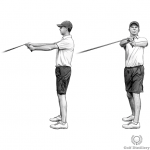 If, during your warm up, you find you’re hitting the ball with a bit of a slice or hook for example, then play with it – adjust your aim and alignment to compensate for today and work on a fix another day. 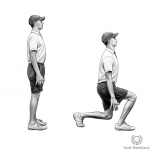 5 mins : Start with some dynamic golf stretches. 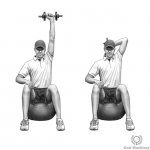 These will help to reduce any muscle tightness and allow you to make fuller, more fluid golf swings – even if it’s early in the morning. 10-15 mins : Hit 25 balls or so on the practice range. Start with your wedges and play 5-6 chip shots, move up to 5-6 mid irons and then 5-6 woods, then move back to a more chips. 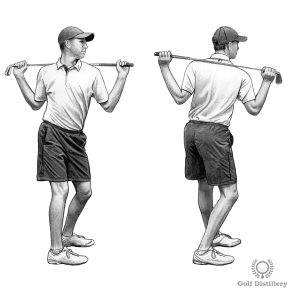 Then, for your last 5-6 balls take the club you intend to use on the 1st tee. 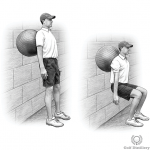 Don’t just hit these balls aimlessly. 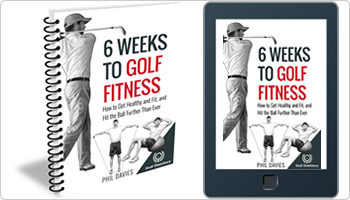 Go through your pre-shot routine, which will help to prepare your mind as well as your body. 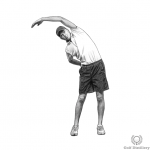 It can be hard NOT to focus on technical elements of your swing, so try this tip as you hit your warm up shots. 5-10 mins: Head to the putting green and hit some putts and green side chips. 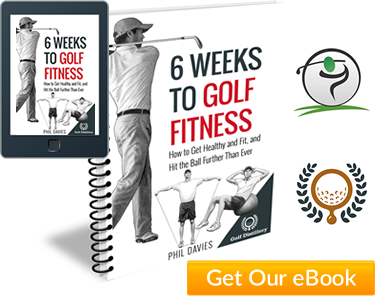 It can be good to finish with some really short putts that you won’t miss – hearing the sound of the ball drop into the hole can be a great confidence booster. 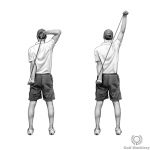 5 mins: Perform some final dynamic golf stretches and head to the tee.